As part of my G8689 mini-mill conversion, I built my own stepper motor driver based on the L297/L298 chip set which are available from DigiKey among others. The schematic in PNG format, readable in any browser. I use a length of 1" x 4" x 0.25" aluminum bar as a heat sink and mounting plate along the bottom edge of the board. I have included the design documents here. These are Eagle 4 CAD files. 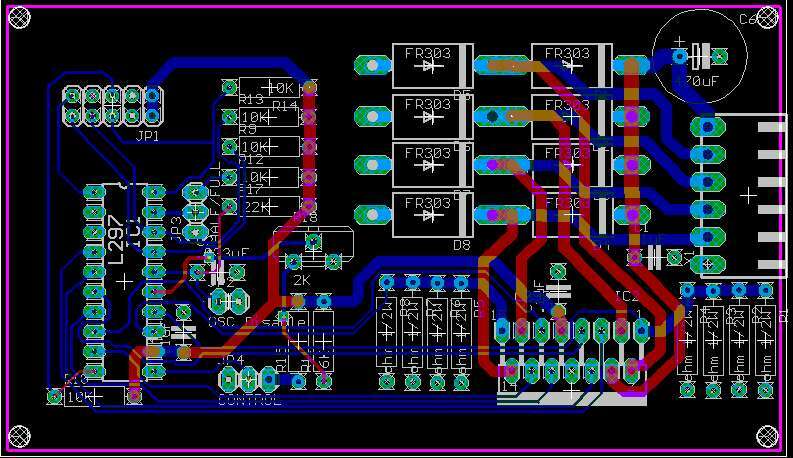 Eagle is a pretty good schematic capture and PCB layout package by CadSoft. This board is small enough that it can be manipulated in the free version of Eagle 4.